100 YEARS AGO the 376 passengers of Komagata Maru were refused entry into British Columbia by Canadian immigration officers. They experienced racism and hostility. Their inability to land caused hardship for the passengers, who soon lacked food and water, were denied access to medical attention, to communication with their family and to proper legal counsel. As we commemorate this resilient journey and the determination of people, we honour their legacy including descendents who have persevered and established their lives here despite so many barriers. Now, 100 years later, the story of the Komogata Maru is being celebrated as an historical event that occurred at a time when â€œOur city looked very differentâ€. For many however, these changes are not evident. Indo Canadian Workers Association (ICWA) will be holding a massive forum in Surrey next month to highlight the â€˜anti-immigration policies of the Government of Canadaâ€™. More than a thousand people are expected to attend this forum which will be held on September 9 at Bear Creek Hall. 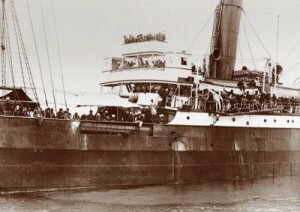 More than just an isolated “incident”, The Komagata Maru story reflects a deliberate, exclusionary policy of the Canadian government to keep out ethnicities with whom it deemed unfit to enter. These justifications were couched in racist and ethnocentric views of “progress”, “civilization”, and “suitability” which all buttressed the view that Canada should remain a “White Man’s Country”. 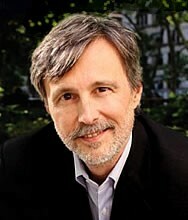 Radio host and author Thom Hartmann has a new book, Rebooting the American Dream. Hartmann has a progressive reputation, and his book supports unions, calls for eliminating tax cuts for the rich and advocates other sensible ideas. But like many liberals, when it comes to immigration his tune changes. In one chapter, Hartmann says he wants to â€œPut Lou Dobbs Out to Pasture.â€Â But Hartmann, like Dobbs, criticizes corporate power and then turns his fire on workers and immigrants. Instead of taking Lou Dobbs on, Hartmann repeats many of the stereotypes and falsehoods that gave Dobbs a reputation as one of the most anti-immigrant commentators in U.S. media. Hartmann, like Dobbs, claims to speak for the interests of working people. And his ideas do reflect the thinking of a certain section of the U.S. working class. That makes it important to understand the impact of his recommendations.